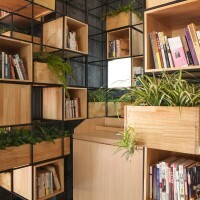 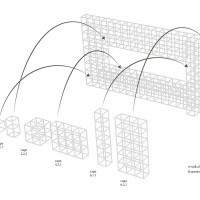 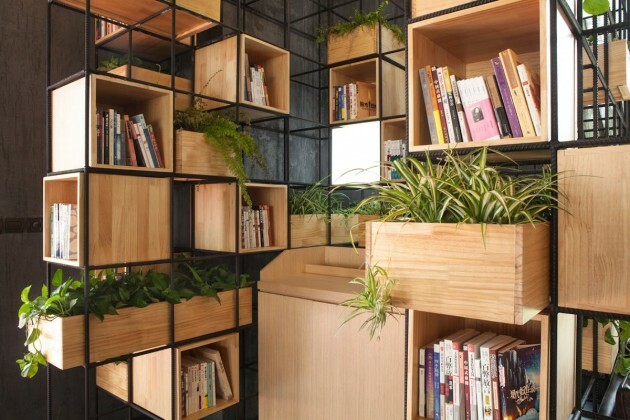 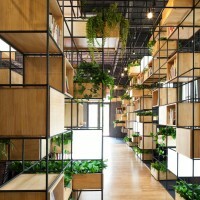 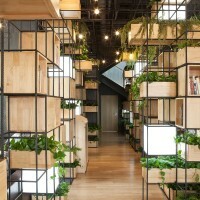 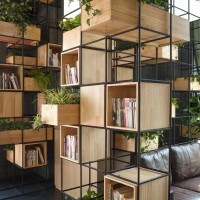 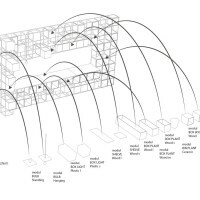 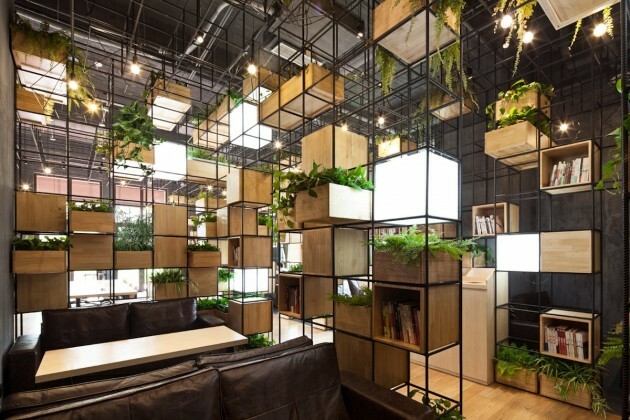 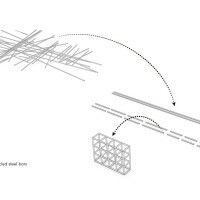 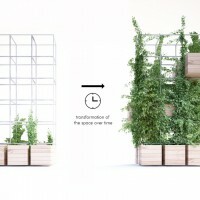 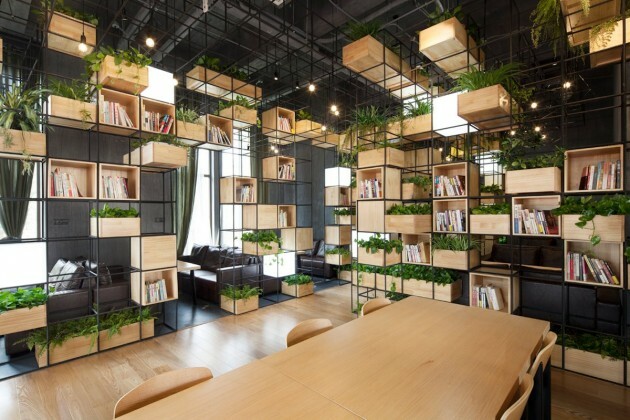 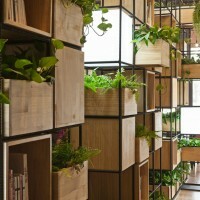 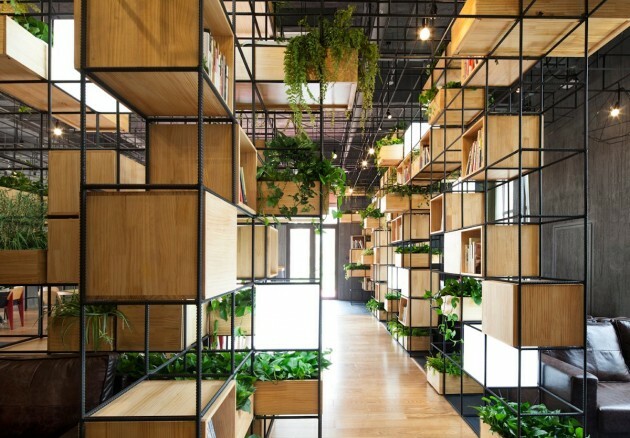 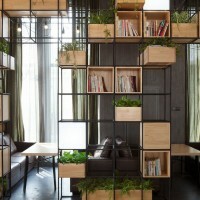 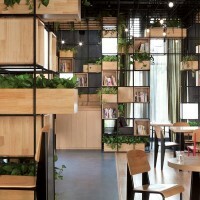 Architecture firm Penda have designed the interiors of Home Café, using recycled steel bars as dividers. 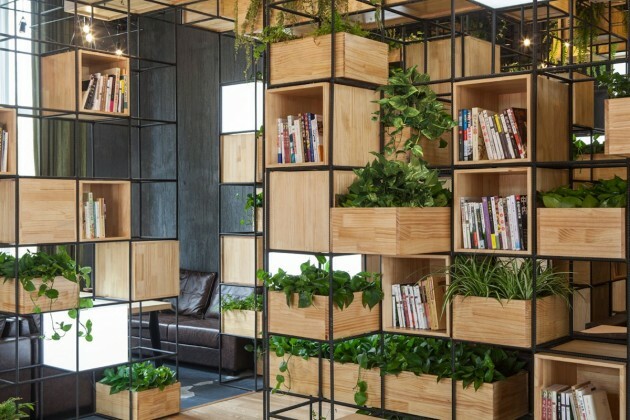 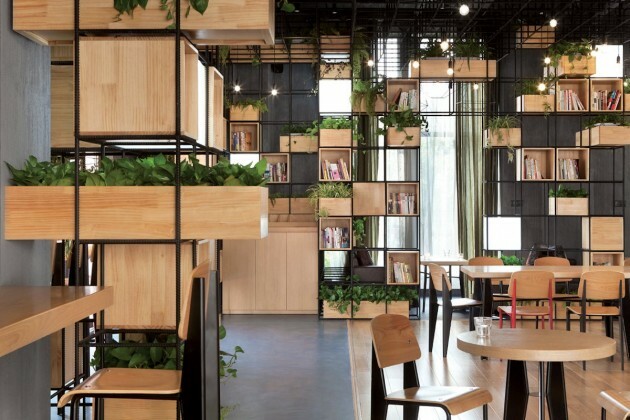 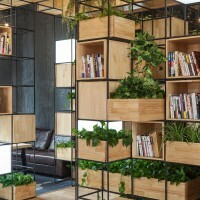 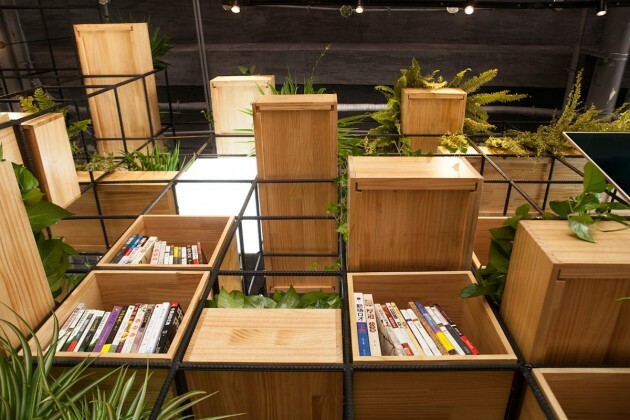 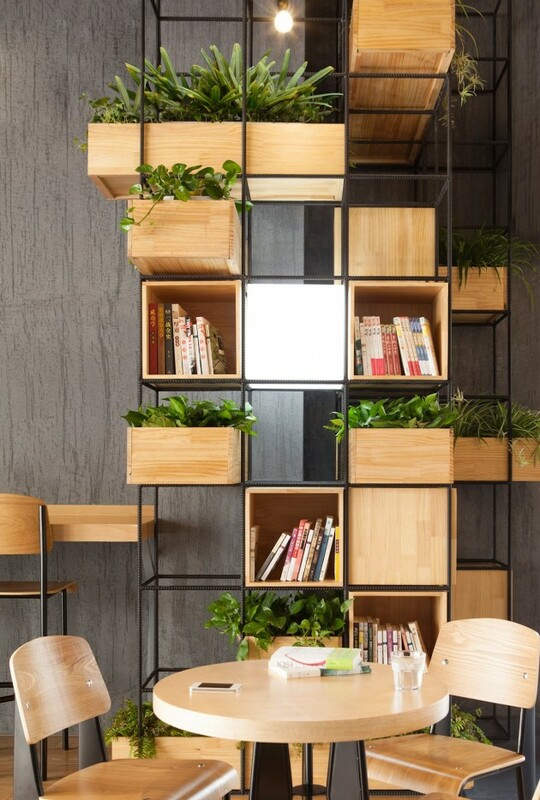 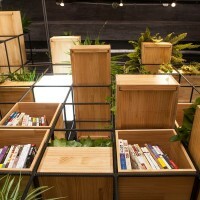 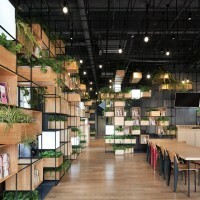 Constructed with recycled steel bars, the modular dividers shelving plants, books and lights give Home Café a hybrid of industrial and horticultural touches. 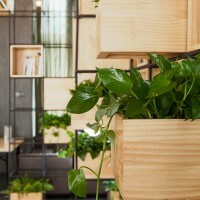 Many of the wooden pots are filled with air purifying and easy-to-grow plants such as spider plants, sword fern and marble queen. 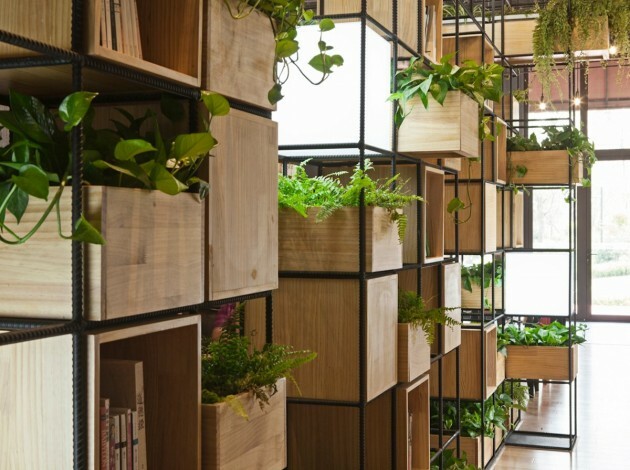 Other pots contain a wide range of herbs, along with freshly brewed coffee to produce an aroma-rich environment. 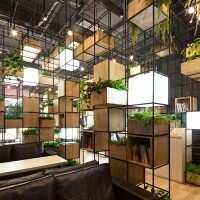 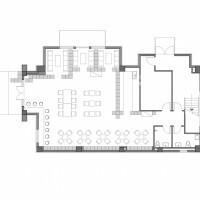 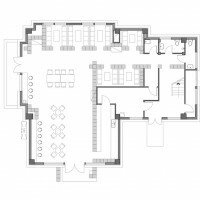 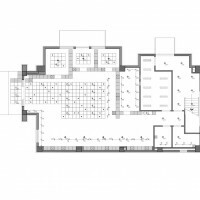 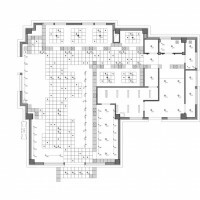 The space connects directly to all human senses: rough plaster wall, leather seatings and wooden furniture – touch, premium coffee and cakes – taste, the plants and herbs that offer visual and aromatic highlight. 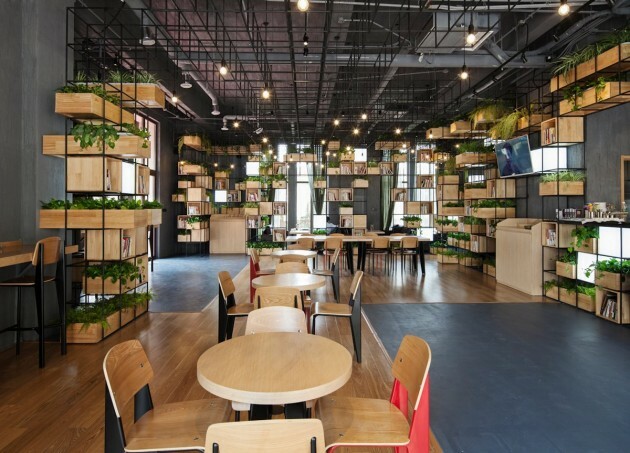 The café will welcome people to come in not only for quality coffee, but also to enjoy a green oasis in the midst of a polluted city.